With an overture in the field of technology, there comes a lot more in the operating systems when it is about computing. Windows 10 offers a wide range of customization which one can easily install various software that operate the external devices. Talking about the scanners, they can be easily connected to the computers via Window 10 with mere software. Once installed, the software is going to run the device and one can achieve the targeted goal. People usually use the scanners for scanning the important and confidential documents for multiple reasons. This follows the process of digitalization. Scanners are used to exclude the burden of physical documents and they can be safely secured in the computers. Make sure you know how to recover files after deleting the physical documents in case you accidentally lose the scanned digital files as well in the future. It also frees people from waiting in the long queues for getting the photocopy of the documents, now they can be scanned and used. Scanner software can auto generate a digital file of the original document, which saves people a lot of time comparing with typing every word manually in computer. Some scanner software can convert scanned image into readable and editable documents. Following the same context, here mentioned are some of the scanner software that can be used on Windows 10 for scanning the documents. Note: Most of the following top free scanner softwares for Windows 10 need Camera app in order to work. Check how to fix Windows 10 camera not working. 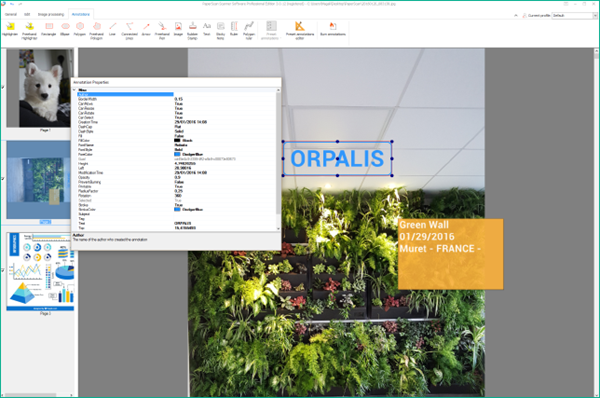 Office Lens, the official scanner software of Microsoft, is referred as one of the best free scanner software for Windows 10. It enhances and trims the picture of prints, whiteboards and business cards, then saves the scanned files to local storage as picture, PDF, Word or PowerPoint file, or to OneDrive as cloud backup. 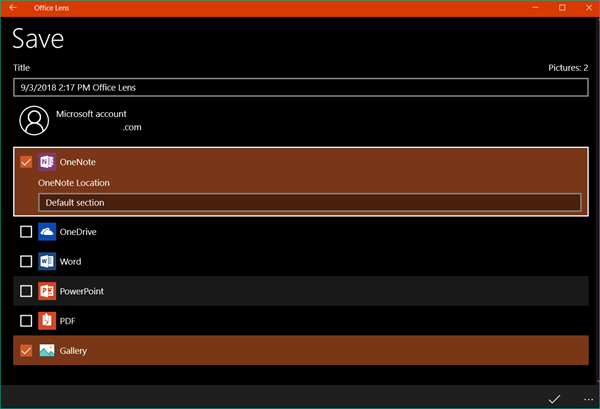 This free scanner software can be accessed in Microsoft Store as well as mobile app stores. It proves itself best in performance as it enhances the productivity. Now Windows 10 users can easily map out their ideas, save them in OneDrive and share the important documents in the form of PDF. Business cards, whitepapers, other information can be scanned and stored. It works best with the languages i.e. English, German, Spanish and Simplified Chinese. Compatible with Windows 10 operating system, PDF document scanner comes with number of wide applications. This easy-to-use free scanner can adjust the document in the frame and capture an image, which is then saved in storage and converted in PDF. 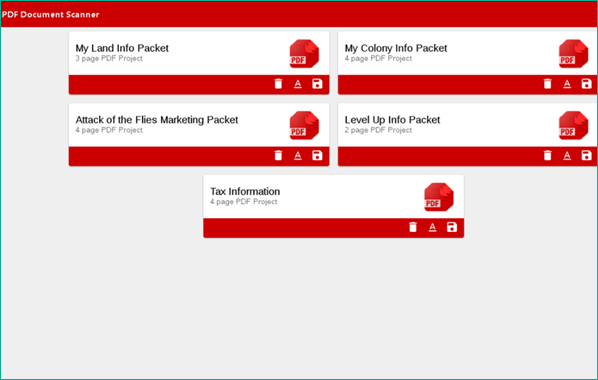 These PDF can be used as digital copies and excludes the hard copies of documents. The digital copies are then saved in either the cloud storage or other external sources. 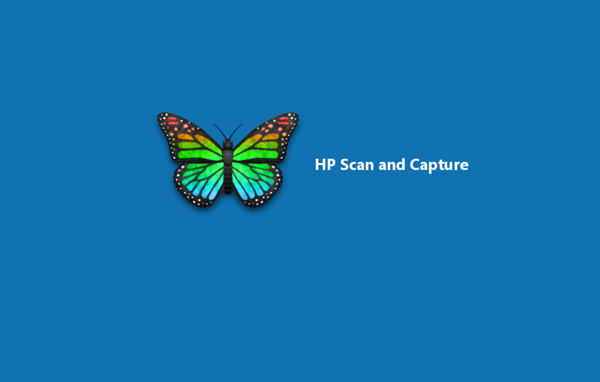 HP Scan and Capture is a free utility for Windows 10. It can scan both the readable documents and images. This free scanner can detect HP devices connected to the same Windows 10 computer so that HP users can easily scan manage documents. However, it can also work without additional device. Once activated, the documents and images can be scanned and framed for basic editing. The scanned copy is saved as PDF in local storage. Have too many files in hard disk? See how to free up space on Windows 10. Controlling the all nearby scanning devices, PaperScan is compatible with Windows10. It also provides the flatbed and document feeder support. One can easily use the already existing PDF and images for scanning and editing. It helps to adjust and enhance the image quality by auto-deskew, and remove punch holes and borders as well as detecting and removing blank pages. This free scanner software displays information on the basis of resolution, size and color mode of the image. Once scanned, the file can be stored as PDF, PDF with encryption, TIFF, JPEG, PNG and even JBIG2. It is available in free version and use two basic languages i.e. English and French, and two premium versions with more power functions. It is an open source software that is capable of scanning the documents and images with physical scanning hardware. It can convert scanned files into various targeted formats i.e. PDF, TIFF, JPG and PNG. Taking only 1.6M of your disk storage, the software is compatible with Windows 10 to work at maximum. 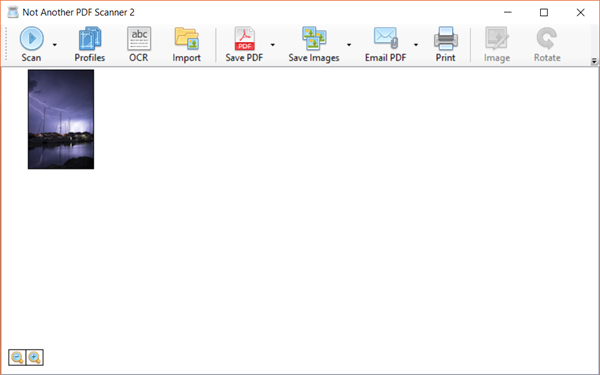 Along with OCR tools, the free scanner helps to extract the text from scanned documents. With the above best 5 free scanners for Windows 10 computer, we can easily find a best choice whenever we need to scan physical documents into digital files for various purposes. If you know some better free scanning software for Windows 10 or want to know the best free scanner for a specific case, feel free to discuss with us.